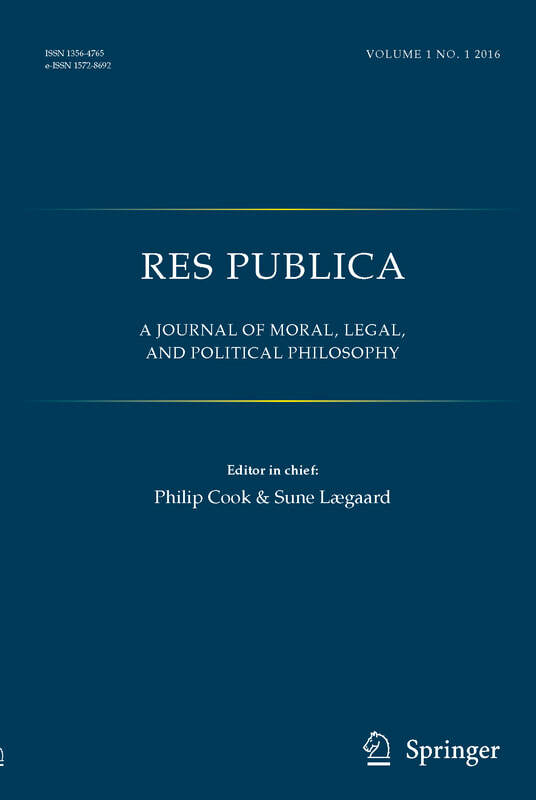 Res Publica (founded in 1995) is an interdisciplinary publication concerned with the philosophical analysis of moral, political, social, and legal issues. It provides a forum for discussion of theoretical issues, a public arena for voicing matters of practical concern; and a vehicle for addressing questions of morality, politics, law and society, the interconnections between them and, more generally, the relations of theory to practice. The journal seeks to publish articles and review essays which are both philosophically rigorous and accessible to a wide range of academics and professionals. Replies to articles are welcome. It is the policy of Res Publica to encourage publication by researchers at the beginning of their careers, as well as by established scholars; and by those in non-Western countries. ​Res Publica offers an annual prize for the best article submission from a postgraduate student. For information about submissions, etc. please visit the publisher's website​.